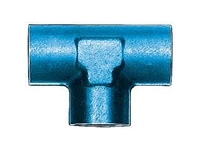 AN Union Tee Adapters from Aeroquip are made from high-quality anodized aluminum. 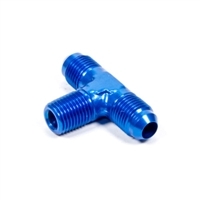 These AN Union Tee Adapters from Aeroquip are made from high-quality anodized aluminum to precise aerospace tolerances. These AN Run Tee's from Aeroquip are made from high-quality anodized aluminum to precise aerospace tolerances. These Male Branch Adapter Tees from Aeroquip are made from high-quality anodized aluminum to precise aerospace tolerances. 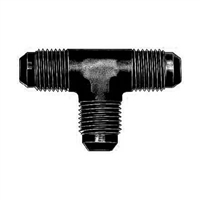 These Female Pipe Tee Adapters from Aeroquip are made from high-quality anodized aluminum to precise aerospace tolerances. These AN Union Tee Adapters from Fragola are made from high-quality anodized aluminum to precise aerospace tolerances. 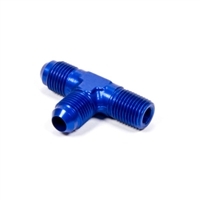 These Female Pipe Tee Adapters from Fragola are made from high-quality anodized aluminum to precise aerospace tolerances. AN Union Tee Adapters from Fragola are made from high-quality anodized aluminum.